Remember Alien: Isolation which launched back for consoles and PC in 2014? Well here’s a follow-up game and it’s hanging right in your pocket. The Alien movie-based game in 2014 remains one of the best, and scariest, games of all time. With the movie making its rank at the most popular sci-fi series ever made, which led to several spin-offs on novels, comic books, and now games. Alien: Isolation is considered on the most popular sci-fi nerve-chilling game. It’s like Five Nights at Freddy’s style, only this time the creepy animals have been replaced by a perfect alien organism called the Xenomorph. Since the game was released, millions of players around the world have been discussing online on how to beat certain levels. YouTube Game Vloggers also did not miss to join in. Over a million videos were published online showing how the game is displayed, and the player’s reaction every time they’re placed in a terrifying situation. This kind of hype is expected to continue with the mobile version Alien: Blackout. Alien: Blackout, developed by Rival Games and Theory Interactive, is a survival horror game for mobile devices which gameplay is based on the Alien: Isolation that starred Blackout’s hero, Amanda Ripley — the daughter of the Alien movie franchise’s icon character, Ellen Ripley. The game is expected to continue to feature the station’s holographic map, along with monitoring surveillance cameras, and motion trackers. This will allow Amanda (who is you) and the crew to navigate through the station and avoid being slaughtered by an alien. In the trailer, we can see Amanda breathing heavily in a dark room. She is holding a flashlight while monitoring the holographic map and the surveillance camera. Then, she noticed the Xenomorph is going to the direction where she’s hiding, and it’s going fast. A distant bulb shuts down. The Xenomorph’s shadow creeps out and, suddenly, all the lights black out. Then the Xenomorph gave a screeching shout. Based on the trailer, the game’s graphics are not as different as the console and PC version. Although not as highly detailed, it should look good enough to give us the scare. The full game is comprised of seven levels which, obviously, are very hard to achieve. Additionally, you have to pay $4.99 to enjoy all levels. If you’re a big fan of the series, you’ll find the asking price worth, or even cheap. 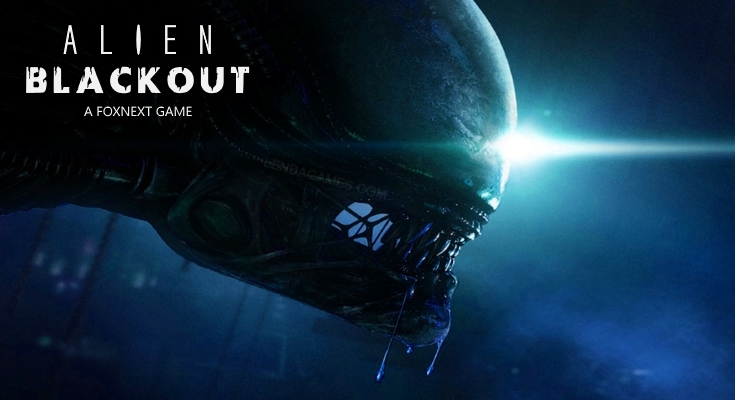 Alien: Blackout is already available to download in Google Play Store, Apple App Store, and Amazon App Store today. This game is a must-play, just don’t go throwing your phone once the Xenomorph finds you. Tape it if you can.